For the duration of April and May of 2014, it's all Marvel all the time. 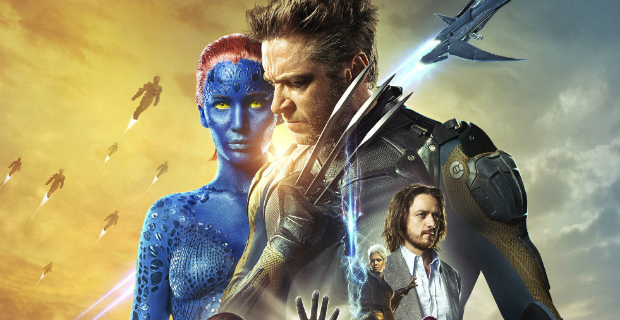 Captain America: The Winter Soldier will soon be winding down its theatrical run, but Sony has The Amazing Spider-Man 2 and Fox has X-Men: Days of Future Past, both releasing in May. Days of Future Past recently dropped its final trailer, along with a new viral video. We also received news that The Amazing Spider-Man 2 will include a clip from DoFP, though fans shouldn't hold their breath for a crossover. Most recently, Patrick Stewart hinted that he could be returning as Professor X in 2016's mooted X-Men: Apocalypse and even beyond. Now writer Simon Kinberg is talking about what we can expect from both Days of Future Past and the Fantastic Four reboot. "It’s kind of a hard question. We shot with Anna [Paquin] a big subplot in the movie and we watched it in the movie and then we cut it out of the movie because, she’s great in it and it was well shot, it just didn’t fit the film. It was a subplot that I created sort of as an appendage to the movie because I wanted to do something else that didn’t serve the main plot of the film. "I just wanted to see Ian [McKellan] and Patrick [Stewart] on a mission together. So I took them away from the main plot of the movie so that they could go off and do something, and she was the MacGuffin of that mission. It was a perfectly fine 10 minutes of the film that didn’t fit the film. So we pulled her out of the movie and pulled that plot out of the film. I can’t speak to any other rumors about any other way she could appear in the film, but I can tell you that the main plot that we shot with her, we pulled out of the movie." It's worth noting that he did go on to sort of hint that an Anna Paquin cameo would be likely. "No, I have plenty of residual guilt from 'The Last Stand' and this movie in many ways was like my chance to tell a better 'X-Men' story. Though I’m very proud of what we did with 'X-Men: First Class,' the two biggest stories for me growing up were 'Dark Phoenix' and 'Days of Future Past.' Those were the ones that I loved, so what I wanted to do with 'Dark Phoenix' is different [than] what the movie ended up being. That’s a whole other interview and conversation, but on this one we had a lot more creative freedom and more encouragement to be loyal to the original books. At any rate, it wasn’t that." Kinberg had plenty to say about the famous Dark Phoenix storyline, and went into some detail about how that basic plot evolved into something much different in The Last Stand. "It was just much more the 'Dark Phoenix' story. What happened when we were developing 'X3' was it began as the 'Dark Phoenix' story and then it evolved into combining also the cure plot. At a certain point in the development process or pre-production process, the cure plot took precedence over the 'Dark Phoenix' plot. So what should have been 'Dark Phoenix' A story, cure plot B story started to invert, I think partly because the other actors like Ian and Patrick were more related to that other story." "I don’t think I can tell you that. Partly, the same mechanism that allows Wolverine’s consciousness to go back in time is the same mechanism that would allow McAvoy’s consciousness to go forward in time." "It’s a much more grounded, gritty, realistic movie than the last couple movies. If I had to say, the tone of it would be somewhere on the spectrum between 'Spider-Man' and 'Chronicle.' The other movies were even further on the spectrum of being goofy and fun than 'Spider-Man.' "
Kinberg clarified that he's referring to Sam Raimi's Spider-Man, and not Marc Webb's. While Fantastic Four easily lends itself to the cartoony antics of director Tim Story's previous films, the drama in those films was rubbery and forced. "Josh Trank’s instincts are to be as realistic and grounded and real with this stuff as possible. In many ways I would say it’s definitely more of a drama than comedy." It’s still in the direction of 'Spider-Man.' It’s not like 'Dark Knight.' And even 'Chronicle' has a lot of fun in it. We’re treating this as the origin of the Fantastic Four so in future movies you’d have them on sort of splashier adventures to some extent but in this one we tried to ground the science as much as possible and make it feel like it could take place in our world before it cantilevers into other worlds. And what about the other rumored solo spinoffs, such as a Mystique movie with Jennifer Lawrence? Kinberg could not shed light on that subject, saying: "I don’t know actually. I have certain options on movies. I don’t know how it applies to spinoffs." The notion of a "grounded" Fantastic Four is in line with Josh Trank's sensibilities as well as the assertions of star Kate Mara, the new Sue Storm. This "realism" does not always work - the attempt to ape Batman Begins with Sony's The Amazing Spider-Man resulted in a sometimes off-putting tonal dissonance, something that even director Marc Webb acknowledged, and has stated that TASM2 will be a much bigger - and "less realistic" - ride. 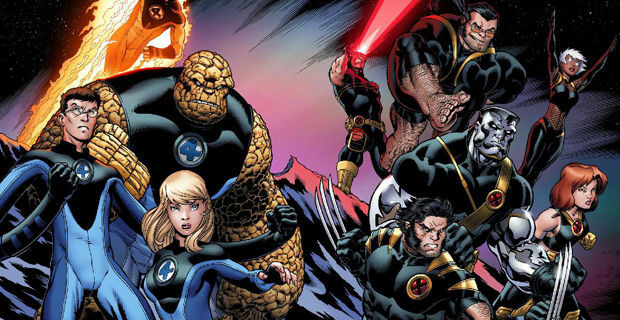 Expect more details on the new Fantastic Four as details become available. X-Men: Days of Future Past will be released on May 23rd, 2014. 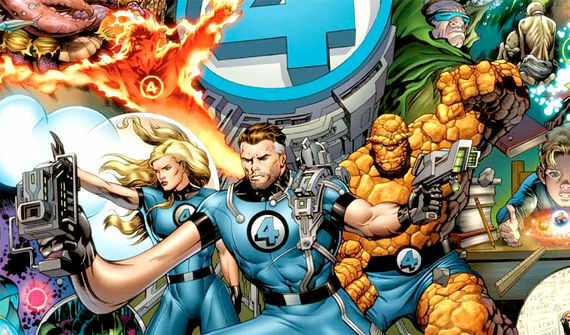 Fantastic Four is currently scheduled for release on June 19th, 2015.